At Lindsey and Lindsey Wealth Management, we are committed to helping you work towards your unique financial goals and objectives. We know reaching your short-term and long-term financial objectives hinges on having the right plan — one that fits your unique circumstances and grows with you. Planning your financial future can be a daunting task. We know that. 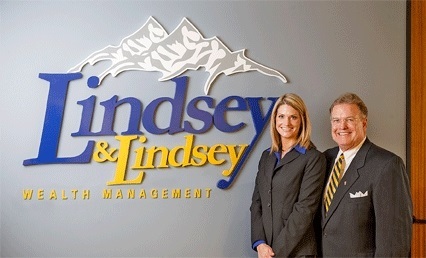 That's where Lindsey and Lindsey Wealth Management comes in. Understanding your individual goals, objectives, and circumstances is the cornerstone to tailoring our services to meet your needs. Creating a customized solution that is right for you. We're trained, licensed professionals, drawing on years of financial planning experience who take into account the full range of needs you have now, and those needs you may have in the future; periodically reviewing your strategy, consulting with you to make appropriate adjustments, and assisting you in keeping your plan on track. At Lindsey and Lindsey Wealth Management we offer only independent, objective investment advice dedicated to helping you build wealth and protect your hard-earned assets. We recommend only those products and services that can be tailored to suit your unique needs. So our loyalty belongs exclusively to you. You are not limited to proprietary platforms, investment products, or research. We continue to remain forward-focused in every aspect to designing a plan for you.